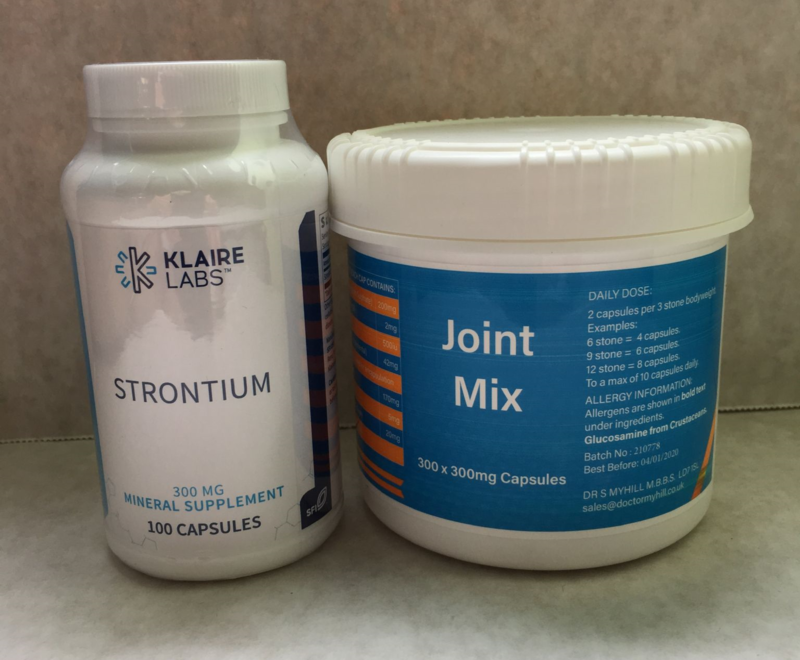 When strontium is taken together with the JOINT MIX - I suggest taking 2 capsules of strontium 300 mgs ONCE A WEEK to compensate for the omission from the new joint mix. Studies show that strontium 300mgs daily is effective, 600mgs daily even more so. When strontium is taken together with the JOINT MIX I suggest taking 2 capsules of strontium 300 mgs ONCE A WEEK to compensate for the omission from the new joint mix. As important in the prevention of osteoporosis is vitamin D. The above should be taken in addition to the Basic Package of supplements and a stone-age diet. Dose - 1 capsule, 1 to 2 times daily with or between meals, away from calcium-containing food or supplements or as directed by a healthcare professional. Vegetarian capsule (hydroxypropyl methyl-cellulose, water), L-leucine, microcrystalline cellulose, and silicon dioxide. Free of the following common allergens: milk/casein, eggs, fish, shellfish, tree nuts, peanuts, wheat/gluten, corn, and soybeans. CAUTION: If you are pregnant, nursing, have a medical condition or taking prescription drugs, consult your healthcare professional before using this product. Keep out of reach of children.